Olivier Manitara lets us share a few moments of the life of one of the greatest spiritual Masters that humanity has known. 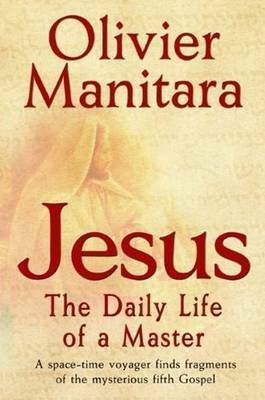 One can read through moments of the life of the Master Jesus, and discover hidden, or not so well known, aspects of his personality. These stories show an erudite but simple man, an enlightened but accessible Master, attentive to all those who approached him. We learn, for example, in what exact circumstances he pronounced the word, 'The one who approaches me approaches fire', and we discover totally unknown scenes of his life with Mary Magdalene, Saint John, Mary, and others, as many fragments of a fifth Gospel that bring a new light on the life of Jesus. A world specialist of the Essenes and himself an Essene Master, Olivier Manitara transmits the time-honored wisdom of this ancient people. The author of more than two hundred books, including a teaching series, he has also done hundreds of lectures on the most diverse subjects. For the past twenty years he has been providing a precious, rare, and personally experienced teaching. He facilitates intensive training seminars, and gives lectures in Europe, Africa, and North America. A simple man, genuine and concrete, he knows how to reconcile the two worlds--that of matter and the spirit. He is a member of the French Society of Writers, a Messenger for the Culture of Peace Manifesto of Unesco, and he participates in the Meditation Room of the United Nations.